Newly-crowned UFC heavyweight champion Stipe Miocic will make the first defense of his title against top contender Alistair Overeem. The bout will be the main event of UFC 203, taking place in Miocic's hometown of Cleveland. In May, the 33-year old Miocic annexed the belt from Fabricio Werdum with a first-round TKO. But to remain champion, he will need to defeat one of the more-accomplished fighters in combat sports history in Alistair Overreem. The 36-year old Netherlands striker-extraordinaire has won 4 straight and seems as good as he's ever been in the UFC since joining the organization in 2011. Miocic's win over Werdum was at least a mild surprise. But for those who have been keeping a close eye on the Cleveland native, it registered as something less than a total shock. Miocic had been quietly rounding out his game, getting sharper and sharper with each successive octagon appearance. He had a few setbacks in losses to Stefan Struve and Junior dos Santos, but with three straight knockouts over Mark Hunt, Andrei Arlovski, and now Werdum, Miocic is in top form. He has some of the best hands in MMA or at least in the heavyweight division. We saw the skill Miocic wields when zapping an advancing Werdum while he was retreating. Not everyone can score a knockout like that—while moving backwards and against perhaps the most-accomplished big man in the game. We've seen a wiser Overeem in the octagon in recent appearances. When he first started off in the UFC, perhaps he was unaccustomed to the cage. Whatever the case, he was 2-3 in his first 5 fights, as many wondered if Overeem's best days were perhaps behind him. And in certain performances, especially in a loss against Ben Rothwell, he was in a position to win, before throwing caution to the wind and getting himself in trouble. We have seen a more tempered pace from Overeem lately, making him a more-dangerous fighter. While Miocic is noted for his striking, there may be no heavyweight with the overall striking prowess of Overeem. Not only has he used that skill to beat a list of opponents that reads like a who's-who in MMA light heavyweight and heavyweight history, he is also a former K-1 champ and noted kickboxer, having beaten some of the more noted K-1 fighters around. His resume is unassailable. Each fighter brings massive assets to the octagon. Overeem is a supremely athletically-gifted big man, adept as a great striker with all limbs and a ground fighter who has scored 19 submissions. He is perhaps a more explosive athlete than Miocic and more-experienced. But Miocic is also versatile—both a fine wrestler and a striker who is getting better and better. He is probably more durable in an overall sense than Overeem, who has been knocked out an alarming 9 times. Miocic is more solid and dependable. This is a very difficult to call. I think Miocic is humble enough and his blue-collar attitude will suit him well as champion. He seems like a guy who will stay grounded and not get away from the very things that helped him become champion. And fighting in front of his hometown fans should give him a nice boost. I think Miocic gets the most out of what he has, while Overeem doesn't always do so. There is just something about Miocic that doesn't really stand out—a certain unflappability and overall bankability. While this is an ultra-dangerous spot, I see him pulling through his first defense. 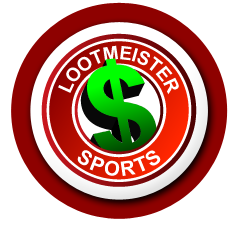 Loot's Pick to Win the Match: I'm betting on Stipe Miocic at -150. Did you know... that you could be wagering on fights at discounted odds? There's a better than good chance that you're laying inflated odds with your book. Stop overpaying TODAY by making the switch to 5Dimes Sportsbook! You will be so glad that you did! In the co-main event, former champion Fabricio Werdum makes his first appearance since dropping his belt in May, as he takes on dangerous contender Travis Browne in a rematch. This should be an interesting heavyweight encounter with a lot on the line. For Werdum, a chance to regain his belt lies in the balance. Browne, meanwhile, could use a win to get a chance at some big fights in the future. Expect a solid effort from both men. These two fought each other in 2014 in the main event of a UFC on Fox card. Browne actually entered the fight as the favorite, with his striking prowess being in such good form lately. But Werdum actually out-struck Browne over the 5-round distance, winning a unanimous decision going away. Browne left the octagon that night with a busted hand, cracked ribs, and a dislocated foot. What can Browne do differently this time? And let's not forget, he will need to do it against an ultra-urgent version of Werdum who wants to get that Miocic rematch. While Werdum, who will be 39 by fight night, lost his title in a first-round KO in May, it was the kind of loss he can mentally bounce back from. He didn't take a prolonged beating and the loss was a direct result of a strategic miscue. Werdum was a bit reckless in his pursuit of Miocic, getting caught with a shot he didn't really see that short-circuited his legs. We're still talking about a guy whose resume has the names of Overeem, Fedor, Nogueira, Browne, Hunt, and Velasquez on it. At the end of the day, counting that Miocic loss to harshly against Werdum could be a miscalculation. With 3 losses in his last 5 fights, Browne, 34, can really use a win. Back in 2013, when he was coming off demolitions over Alistair Overeem and Josh Barnett, he was considered a legitimate title threat. He just hasn't really looked the same since his peak of a few years ago. After losing to Werdum, he beat Brendan Schaub, before getting KO'd by Andrei Arlovski. He beat Matt Mitrione is a fight where Browne eye-pokes became the main factor in the fight. In either event, he didn't look great. And in his last fight, against ex-champ Cain Veleasquez, he was run over in the first round in a TKO loss. Did Browne lose his touch? Was he left grasping for answers as the competition increased? Whatever the case, he is no longer the dangerous contender on 2013. At the same time, assuming he lost all his mojo could be a miscalculation. WE're still talking about a dangerous striker with a lot of size and talent. We've already spoken about the urgency of Werdum's situation. Pushing 40, he doesn't have the wherewithal to begin a long climb back to the championship, something he would be forced to do if he lost this fight. But Browne's MMA career is also in need of a positive development. At this level, you can only fail to deliver so many times before no one considers you a contender anymore. Browne needs a big win in a major way and one should expect his urgency to match the situation. There are some patterns in Browne's career that could suggest he is good at only a certain level. Other than Overeem, who has lost 14 fights and an aging Barnett, he seems to come up just short against the cream of the crop. Browne remains a scary striker, but will he be able to come up with something he didn't come up with when they fought for 25 minutes in 2014. Browne will try to stand with Werdum. And if the fight goes to the ground, Rothwell will be battling perhaps the top BJJ guy in the history of MMA heavyweights. Browne is too dangerous to rule out summarily, but I see Werdum as being a bad matchup for him and we anticipate him repeating his win over Browne. Loot's Prediction to Win the Fight: I'm betting on Fabricio Werdum at -290. Bet this fight for FREE by taking advantage of a massive 100% sign-up bonus on your first deposit of $100 to $500 at GTBets!